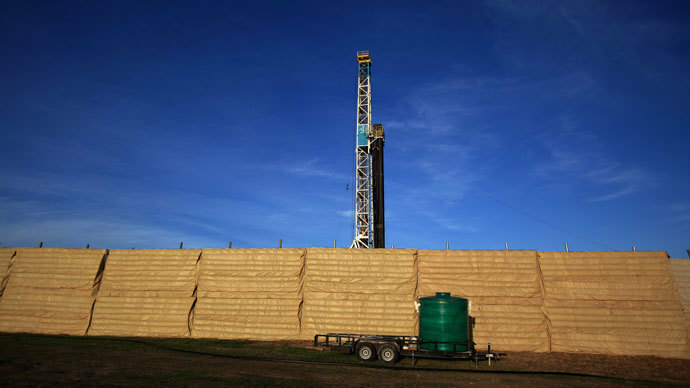 As concerns over fracking-induced earthquakes mount, regulators from four US states met for the first time in March to discuss limiting the risk posed by the controversial practice. According to Bloomberg News, officials from Ohio, Oklahoma, Kansas, and Texas are looking to cooperate on the project. 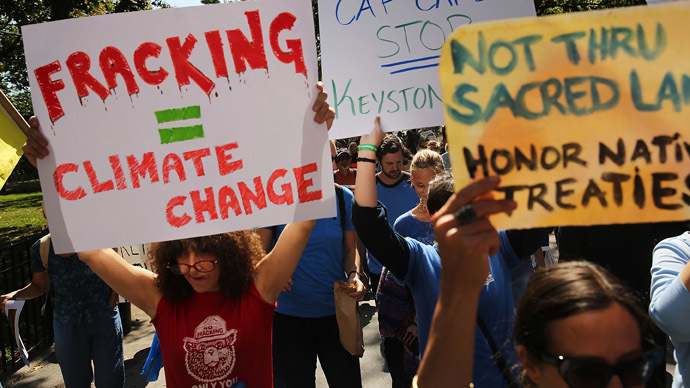 The group reportedly discussed how to strengthen their standards related to fracking, and is working on establishing similar monitoring procedures across the states that would prevent earthquakes from occurring in the future. 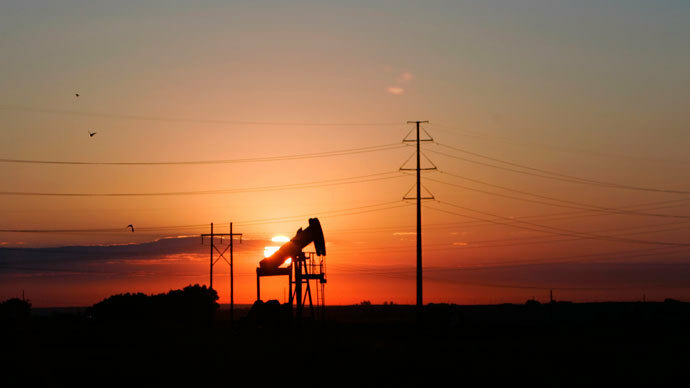 One rule being considered by Oklahoma, pending the support of the lawmakers and the governor, would require companies to record injection well pressure every day rather than every month. If such a rule is authorized, Oklahoma would be the first state in the country to require this. The move to collaborate comes in the wake of a US Geological Survey study that found the number of earthquakes occurring in the central United States was six times higher in 2011 than it was in 2000. In Oklahoma, for example, the state experienced less than three quakes a year from 1975 – 2008. Since then, there have been an average of 40 earthquakes every year. 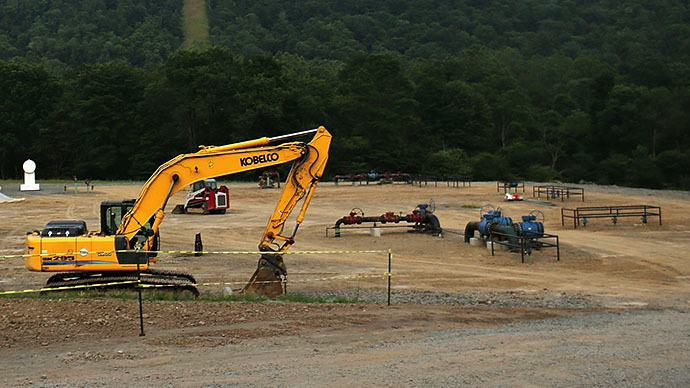 The process of fracking – which involves blasting water, sand, and other chemicals into layers of rock in order to release gas and oil – has been highlighted as the likely trigger for the quakes, since the wastewater is then injected into underground wells that sometimes cause friction near fault lines. While state officials are serious about creating new regulations and procedures to monitor fracking operations and limit quakes, Dan Whitten of America’s Natural Gas Alliance said the amount of earthquakes connected to fracking injection wells is minor compared to how many wells exist. Still, multiple cities and states have begun taking action. As RT reported earlier this month, Los Angeles became the largest city in the country to ban fracking, with the prohibition expected to remain in place until it’s proven the process won’t harm public safety or contaminate the drinking water. A co-sponsor of the bill noted the procedure’s connection to earthquakes, while others have pointed not only to its environmental consequences, but also to the fact that it uses up significant amounts of drinking water in a state that’s been stricken with drought. 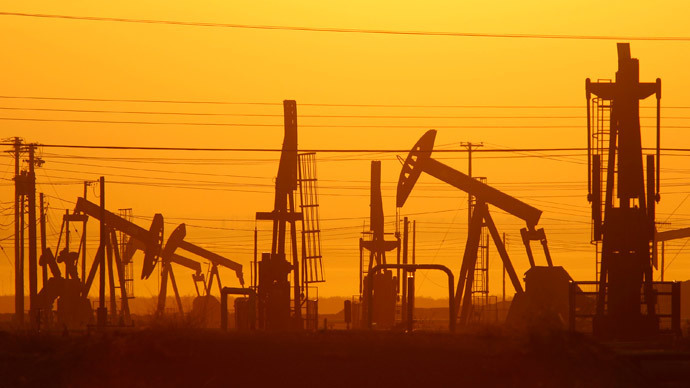 According to the Sacramento Bee, “millions of Californians live in areas threatened by oil industry-induced earthquakes,” with more than 800 injection wells near “recently active faults,” including the San Andreas. Meanwhile, Arkansas has banned fracking in an area known for its spike in seismic activity, while Ohio has barred wells near fault lines. 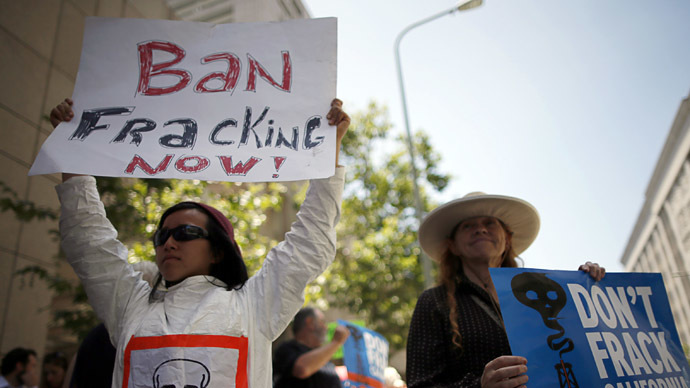 Other cities, such as Dallas, have effectively banned fracking as well, prohibiting it within 1,500 feet of a home, school, church, and other areas.